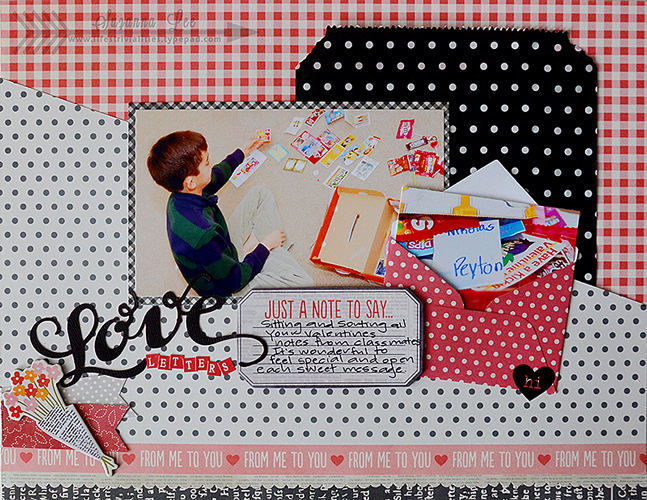 Layout Archives - Page 63 of 66 - Pebbles, Inc.
It’s so easy to transition themed lines into use on unrelated projects. 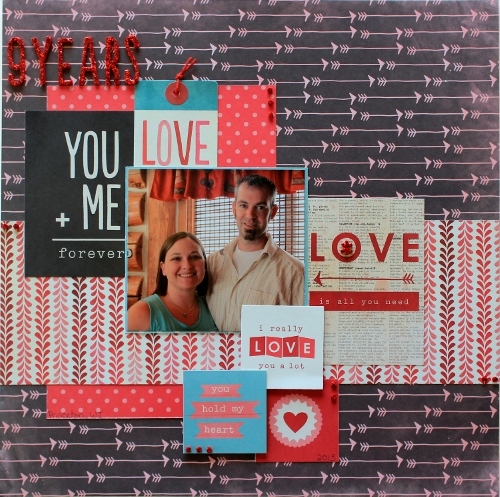 Today Designer Samantha Taylor is showcasing how she used our Valentine’s Day themed Yours Truly collection to create a layered layout featuring her anniversary dinner. If you’ve fallen in love with Yours Truly, but don’t usually go out for Valentine’s Day, don’t worry it can be used for so many other love themed layouts, too! I used Yours Truly to create a layout from my and my husband’s 9 year anniversary dinner. What better than a love centered Valentine’s themed collection to scrap the love I have for this man after 9 years together. One of the things we really love about our designers is how well we get to know them and their family…through photos! 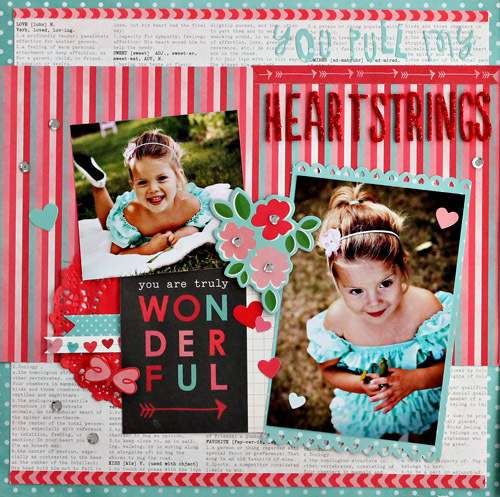 Today Designer Candace Zentner is sharing a fun Valentine’s Day layout featuring one of her sweet girls. Hey Pebbles fans! Today I am here to share a double layout that I am super excited about. 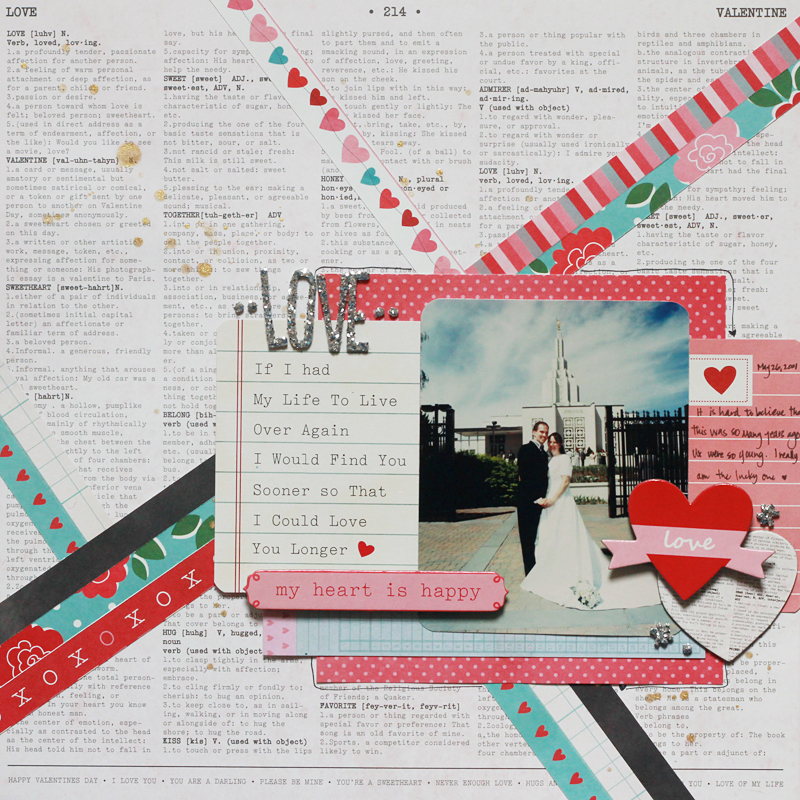 The Yours Truly line has been one of my favorite collections and I cannot stop playing with all the paper and fun embellishments! 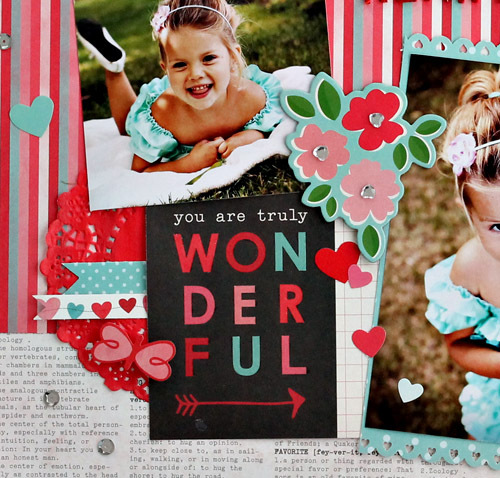 As soon as I saw this paper and the color scheme I knew that I had to create a layout with some pictures I took of my daughter. I am so happy this collection has a splash of blue in it – I get a little tired of using only traditional holiday colors! 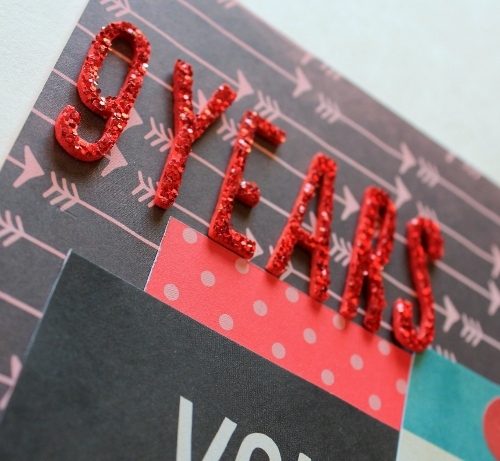 I am so in love with the chunky glitter on these gorgeous Thickers! I almost couldn’t even use them they are so pretty!! I always love to journal on my layouts and the mini envelopes and a card from the phrase card pad made the perfect little place to write a note to my daughter. 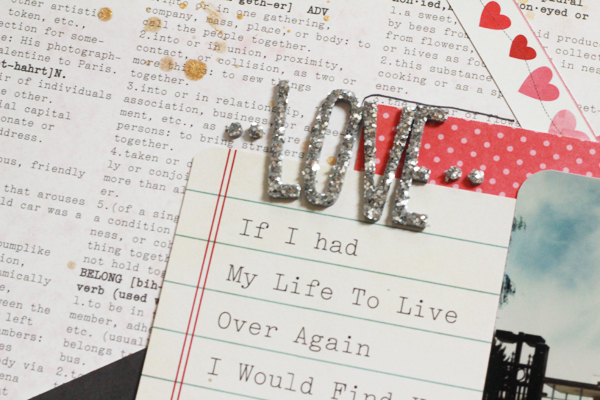 Another phrase card and some pretty rhinestones flower centers were the perfect touch on the second page of my spread. 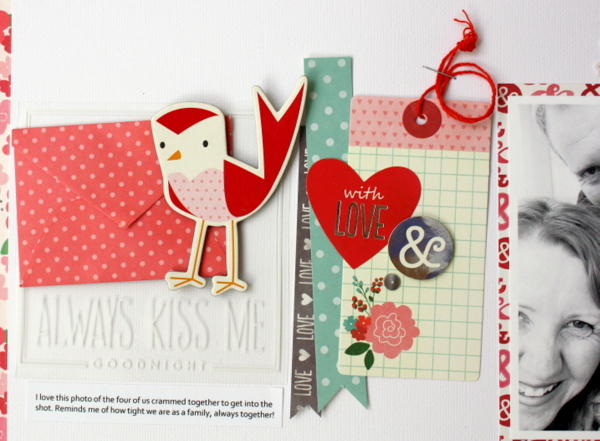 The Yours Truly Collection is so great for projects for Valentine’s Day as well as other occasions! I can see myself using it all year round! 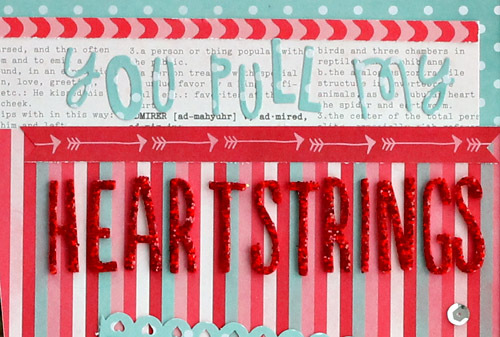 Today Designer Suzanna Lee is showcasing how you can create a holiday layout without using themed papers and lines. We love the unique ways she’s created a true Valentine’s Day layout using fall papers! We don’t really celebrate Valentine’s day in my household as it’s commonly referred to as St Hallmark’s Day. I believe and try to instill in my children that sharing and showing our love for loved ones ought to happen every day in small tokens and actions. Sure, the occasional grand gesture is nice but it oughtn’t be expected. We do make and send out little love notes as it’s what kids do, I don’t want them to feel left out. 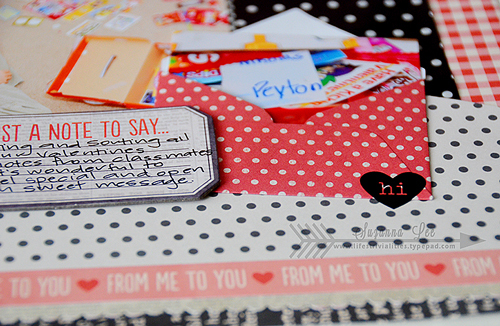 Today I’m sharing an 8.5×11 horizontal layout with you that reflects back upon the opening of those innocent little messages, the days of a whole class being friendly and sharing friendly messages. 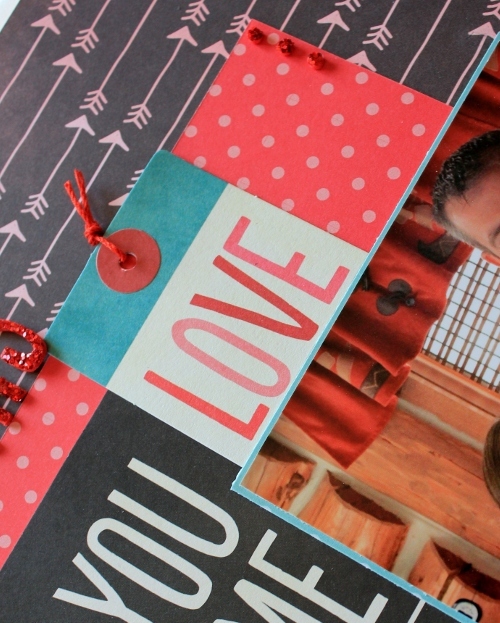 Sure, Pebbles has a Valentine’s collection but you will have seen a lot of that lately. You don’t have to have a particularly themed collection to document a particular event! 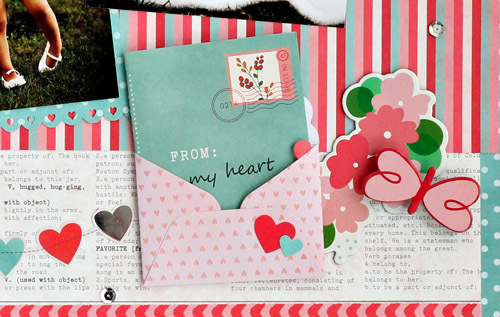 Our common associations with Valentine’s day are flowers, chocolate and love letters, all of which are included on this layout. Chippies flowers from the From Me to You collection, an envelope of letters in the form of a picture and the chocolates are in the pictures! I feel I captured it all in a very masculine way that doesn’t scream red hot love! When I get organized and find all the Valentine’s that I know I have saved somewhere, they will fit in the pocket that I created behind the picture, where the glassine bag sits nestled. I know I’m not the only one who collects all this ephemera only to be unable to locate it when the time of usefulness arrives! It will be found (some day…) and there will be a home for it! 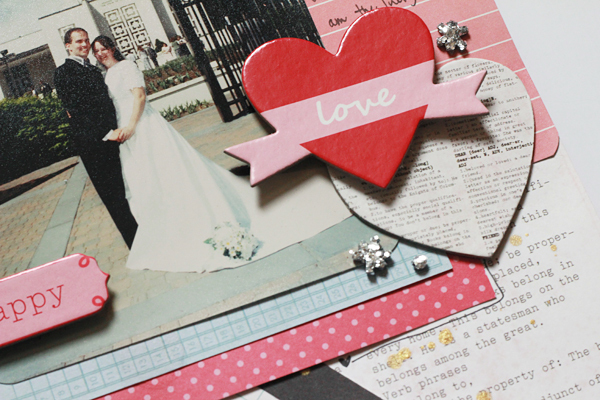 Are you current on your scrapbooking, or do you skip around a bit? We’re constantly working with what inspires us most and today we’re excited to share a wedding layout created by Designer Becky Williams. It’s a bit of a blast from the past and we LOVE it! The “Yours Truly” collection is such a beautiful one! 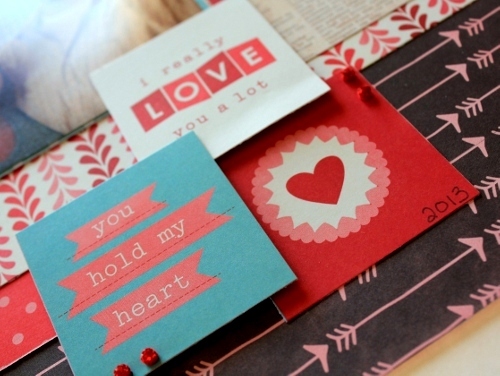 I really like the mix of red and pink with aqua and chalkboard tones. Most of the time I scrap pictures of my children so it was fun to use this line to scrapbook an old picture of me and my husband on our wedding day many years ago. The stripes were zigzags- that is a little hard to see now that the picture is covering them up. 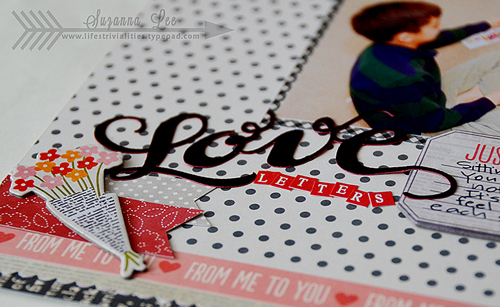 The phrase cards are my favorite part of the collection and I thought this one was a great finishing touch for my page. 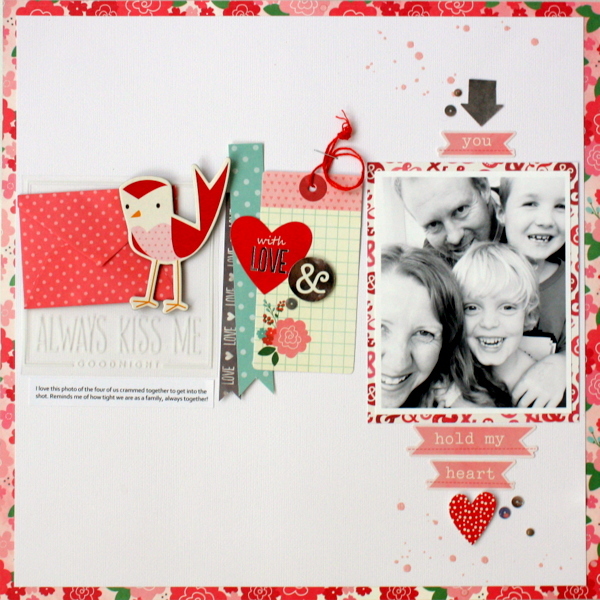 There are few things more fun than sitting down at a table with all of your supplies to create a page layout featuring the ones you love most. Today Designer Kim Jeffress is sharing a beautiful Valentine’s Day layout that will encourage you to sit down, pull out your supplies and get your scrap on! 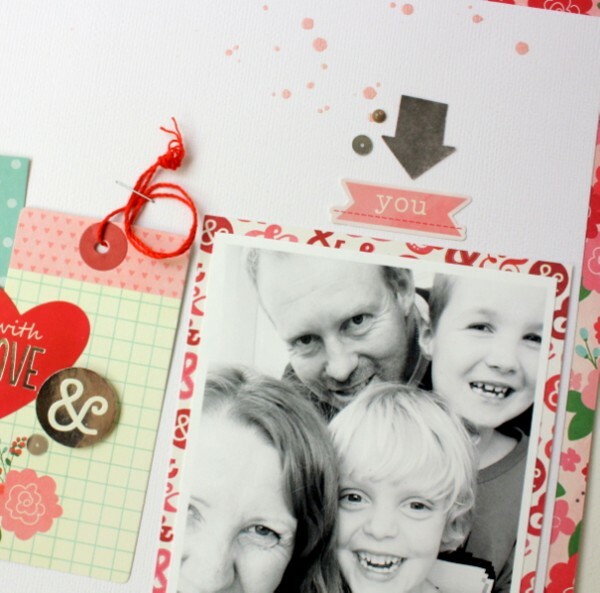 I couldn’t go past this photo of my family all squished together when looking to create a Valentines Day layout. These 3 people are my world and the perfect place to start when making a layout about the people that I love!